Acetal plastic, commonly known by the brand name Delrin®, offers physical properties not available with metals or many other plastics. Acetal is a low friction, high strength engineering plastic that has excellent wear properties in both dry and wet environments. 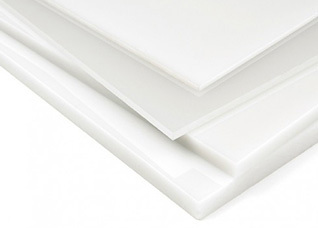 Acetal is also FDA & USDA compliant. Acetal possesses creep resistance, toughness and high tensile strength with excellent machinability, even to tight tolerances. It is chemically resistant to hydrocarbons, solvents, and neutral chemicals and exhibits low moisture absorption. These properties along with its fatigue endurance make acetal ideal for many applications including; bushings or bearings, rollers and gears, valves, wear strips and pads, and electrical parts or pieces. Delrin is a copyright © 2015 DuPont.